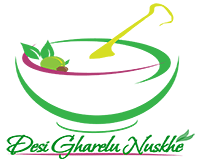 Welcome to desigharelunuskhe.com, a website owned by M/s. Anushi Group that allows interaction amongst its users to help attain better healthy living in society and leave a better society for future generation. The users of the website are encouraged to interact on various Health and Beauty issues and discuss all possible ways to improve the situation. The website also encourages its users to help each other by providing possible solutions and experiences to the problems faced by other users. Any opinions expressed by any of the user are of those of the users alone, and are not to be attributed to desigharelunuskhe.com. Any comment, solution, blog, forums, opinion, reply to comments, etc., written/expressed by any user on the website does not reflect the opinion of desigharelunuskhe.com. desigharelunuskhe.com cannot and does not assume responsibility for the accuracy, completeness, safety, of anything written by the Users. desigharelunuskhe.com recommends/suggests all its users to cross verify/check any suggestion given by any user on the website with expert advice. desigharelunuskhe.com shall not be responsible for any loss or damage that might occur to a user on his/her reliance on the quality, accuracy, or reliability of said suggestion, etc. Though desigharelunuskhe.com provides an open forum to all its users to interact on various Health Beauty issues as aforesaid, however, it is the duty of the user that he/she shall not use any language, sign, etc. any manner which may hurt the sentiments of any section of the society (regional, religious, etc.). desigharelunuskhe.com hold all rights to edit, remove, screen or reinstate the User’s Content at any time at its sole discretion and without notice to you. We have no obligation to retain or provide you with copies of Your Content, nor do we guarantee any confidentiality with respect to Your Content. The images and pictures are copyrighted to their respective owners. All pictures that have the desigharelunuskhe.com tag on them, were photographed, purchased or scanned exclusively for the site. All other images are taken from around the web and therefore believed to be in the public domain (unless stated otherwise). If you see any images that are in some form of violation of copyright infringement, please contact us with valid proof and we will happily remove them as requested, after verification of the claim. desigharelunuskhe.com do NOT ENDORSE OR RECOMMEND any of the opinions or ideas or comments contributed by our Users. However, we permit others to make judgments about your Content that may affect the display of your Content. Further, we may choose to use automated software filters that may prevent you from uploading your Content or may affect its display. Finally, we may take any actions that are deemed necessary or appropriate to minimize our liability from your Content or to preserve our relationships with our service providers (such as its Internet access providers). desigharelunuskhe.com recommends/suggests all its users to cross verify/check any suggestion given by us through Articles/Blogs/Forums or any user on the website with expert advice. All the suggestions / recommendations are not tested or verified or not vetted in practical life scenarios but are based on observations which we all should know for basic awareness. The article/blogs/forums/etc., do not guarantee any health beauty solution. The purpose of the website is to initiate discussion on Health Beauty so that maximum benefit to viewers could be achieved by participation of all sections of viewers by spreading the awareness. You agree to indemnify, defend, and hold desigharelunuskhe.com, harmless, including costs, liabilities and legal fees, from any claim or demand made by any third party arising out of or relating to (i) your access to or use of the website, (ii) your violation of the Terms, (iii) any products or services purchased or obtained by you in connection with the Site, or (iv) the infringement by you, or any third party using your account, of any intellectual property or other right of any person or entity. We reserves the right, at your expense, to assume the exclusive defense and control of any matter for which you are required to indemnify us and you agree to cooperate with our defense of these claims. You agree not to settle any matter without the prior written consent of desigharelunuskhe.com. We will make reasonable efforts to notify you of any such claim, action or proceeding upon becoming aware of it. This Agreement shall be governed by the laws of India. Any controversy or claim arising out of or relating to this Agreement or the desigharelunuskhe.com site shall be settled by arbitration of Sole Arbitrator to be appointed by desigharelunuskhe.com, in accordance with the provisions of Indian Arbitration Act 1996 or any amendment thereof. The place of arbitration shall be New Delhi, India. The award of the arbitrator shall be final and binding upon the parties. Notwithstanding the foregoing, desigharelunuskhe.com may seek any interim or preliminary relief from a court of competent jurisdiction in New Delhi, India. desigharelunuskhe.com at its option, may bypass arbitration in cases of fraud or other crimes against itself, interference with its technical operations or violations of its rights or property. The courts at New Delhi, India shall have exclusive territorial jurisdictions over any dispute or in connection with present contract.